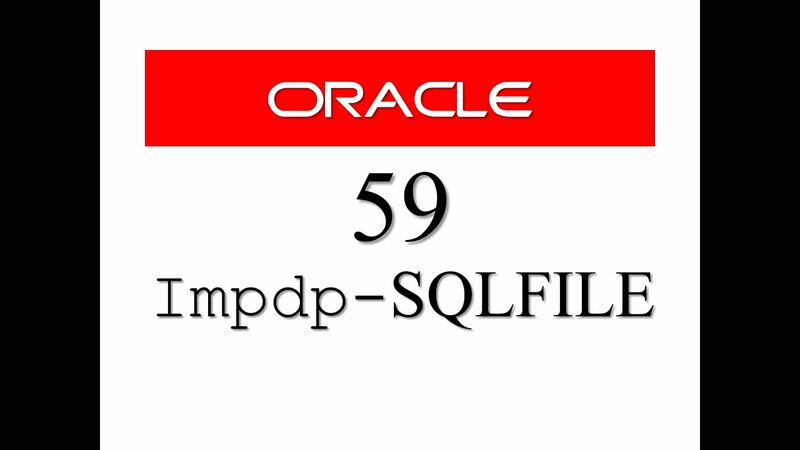 25/07/2010 · Oracle Data Pump now offers the ability to obfuscate data during an export or import operation. This functionality is supported with the use of the new remap_data parameter. 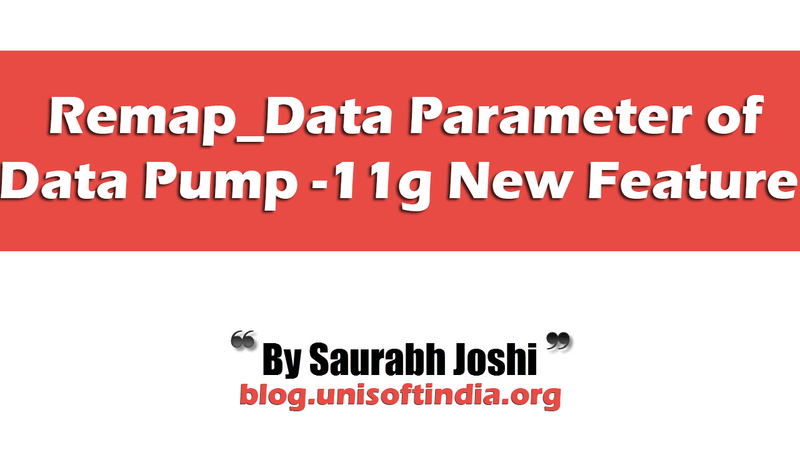 With the remap_data parameter you define the schema table.column object(s) to be remapped, and you also define an associated function that... Data Pump Schema Export 11g How to export tables from multiple schemas with Oracle Data Pump in Oracle 10g and 11g databases. Modified on: Thu, 21 Aug, 2014 at 2:20 PM. 1. Tablespace Export expdp system/ TABLESPACES=USERS,UNDOTBS1 directory=DATA_PUMP_DIR dumpfile=test.dmp LOGFILE=exp.log parallel=2 In the above example, expdp takes a backup of the contents of USERS,UNDOTBS1.... Oracle Data Pump is a component of the Oracle database technology that allows users to export and import data faster than other traditional Oracle utilities. In addition to basic export and import functionality, Oracle Data Pump supports the use of Oracle External Tables, and keeps data in a binary format, further improving processing efficiency. Data Pump is modeled after Oracle 12c’s Export/Import tools that were available prior to Oracle 10g. Export/Import is still available, but Data Pump has taken the tasks traditionally done by Export/Import and added a lot more options and flexibility.... 1. Tablespace Export expdp system/ TABLESPACES=USERS,UNDOTBS1 directory=DATA_PUMP_DIR dumpfile=test.dmp LOGFILE=exp.log parallel=2 In the above example, expdp takes a backup of the contents of USERS,UNDOTBS1. Importing Schema Backup using Oracle Data Pump In most circumstances, it is necessary to transfer the file from the original server to the mirror server via a file transfer method such as SSH, SFTP, or by mounting a drive. Data Pump Schema Export 11g How to export tables from multiple schemas with Oracle Data Pump in Oracle 10g and 11g databases. Modified on: Thu, 21 Aug, 2014 at 2:20 PM. In all the papers I read about migrating an Oracle database to RDS there is always an EC2 instance with the database in the middle. As I see the process is to export by datapump, and then move via a database link this export to RDS and then ingest this dump to the RDS. According to the Oracle docs you can specify that the job doing the export produce values in a given version. That is to say, you can tell the job doing the export to produce 10g output so that it can be accepted by the destination database.